In general, there are two mental traps you can fall into with the SAT and ACT. One is to think too much, and other is to think too little. 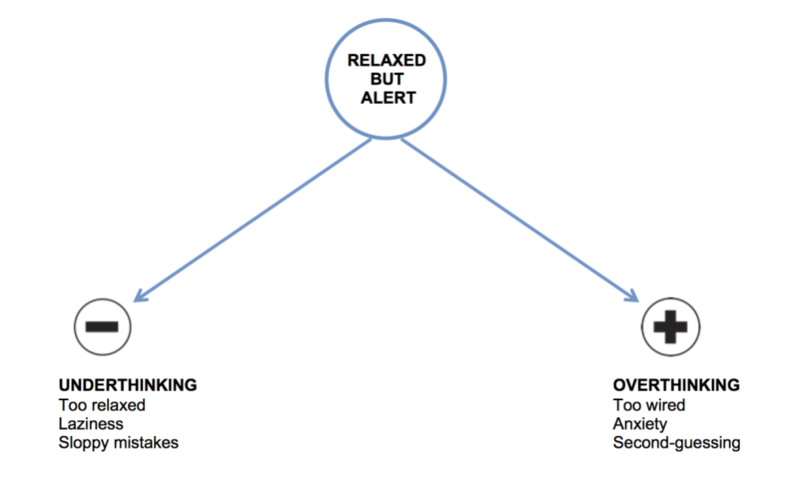 I call these “Overthinking” and “Underthinking.” You can easily sidestep these two traps by staying in the middle between these extremes. In order do this, remember the simple sentence: Stay Relaxed But Alert! Being relaxed means taking deep breaths into your belly, and focusing on the feeling of both feet grounded on the floor. Try this if you get nervous…simply put 20% of your awareness on your feet and take five slow deep breaths. You’ll be amazed how this little practice helps dissolve anxiety. Likewise, being alert means being fully awake and aware of your surroundings, whereas “thinking” often means being trapped in your own obsessive thoughts. So stay alert, pay attention to the words or numbers in front of your nose, and don’t think so hard! Another corollary to staying relaxed but alert is to keep a Present Focus…as opposed to obsessing on the past or the future. Many students tend to dwell on past failures (“I hated my freshman Math teacher!”) or successes (“I’ve always been brilliant at English!”). In the same way, they obsess over future results and scenarios (“What will my SAT/ACT score be…? Will I get into the college of my choice…? What will my parents think if I bomb the test…?”). 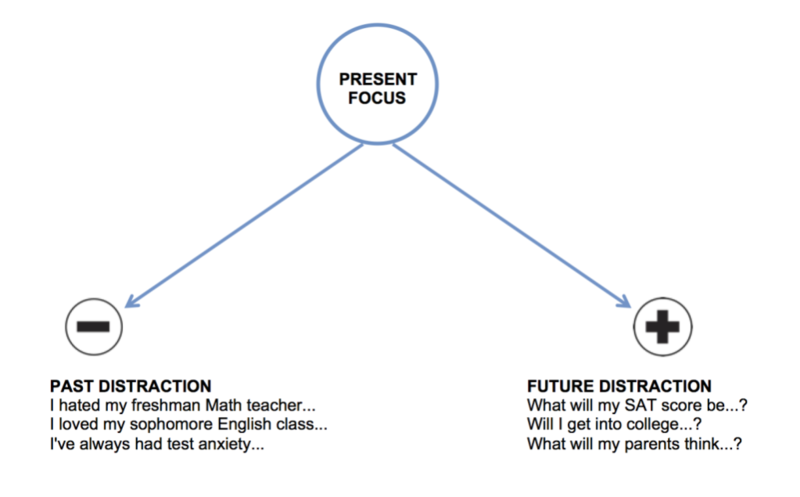 These obsessive thought patterns distract you from the present moment, and prevent you from laser-focusing your energy on the SAT/ACT problem right in front if you. So remember, avoid Past Distraction and Future Distraction and keep a strong Present Focus. Benthall Test Prep offers courses online or in-person to help students master the SAT & ACT.